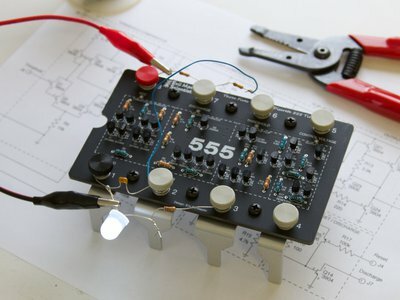 Re-create one of the most classic, popular, and all-around useful chips of all time. Now shipping kit version 2.0 with anodized aluminum legs! 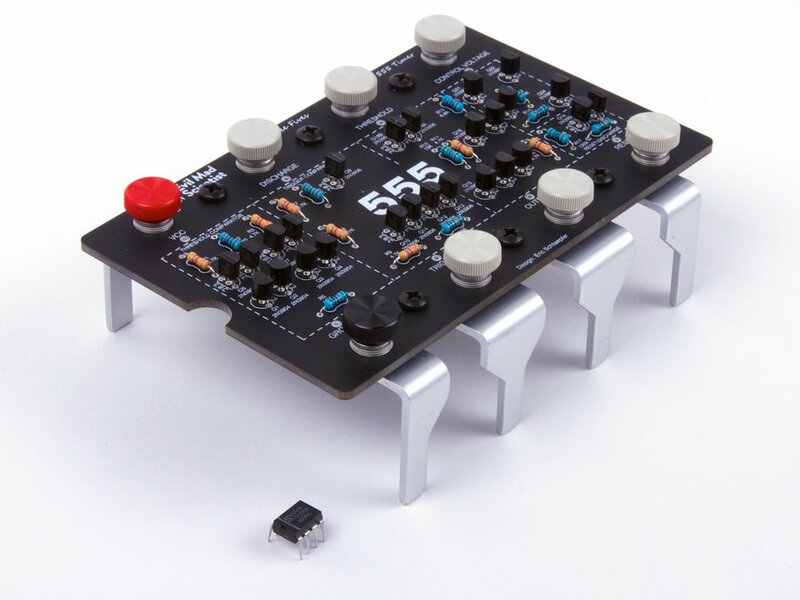 The "Three Fives" Discrete 555 Timer kit from Evil Mad Scientist Laboratories is a faithful and functional transistor-scale replica of the classic NE555 timer integrated circuit, one of the most classic, popular, and all-around useful chips of all time. 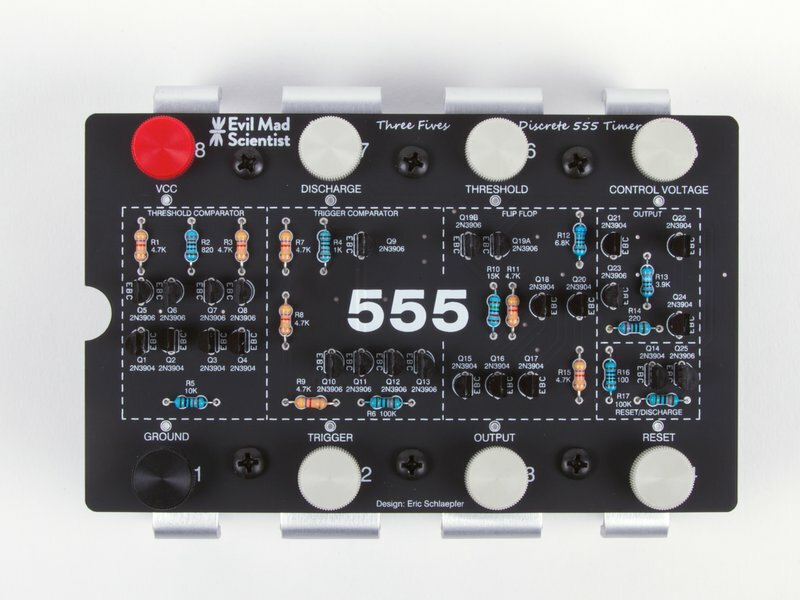 The Three Fives kit was designed by Eric Schlaepfer, in collaboration with Evil Mad Scientist Laboratories. 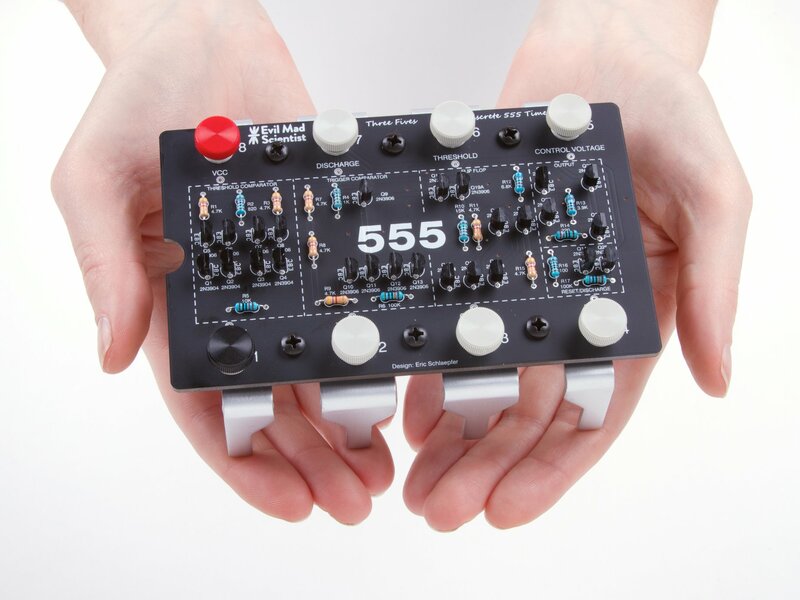 The kit is lovingly designed to resemble an (overgrown) integrated circuit, based around an extra-thick matte-finish printed circuit board. 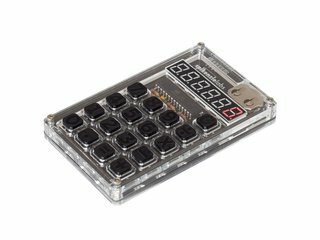 It comes complete with a beautiful aluminum display stand that gives the circuit board eight legs in the shape of DIP-packaged integrated circuit pins. Download Datasheet (2.5 MB PDF file). The Three Fives kit is sold as an easy-to-build soldering kit [?]. 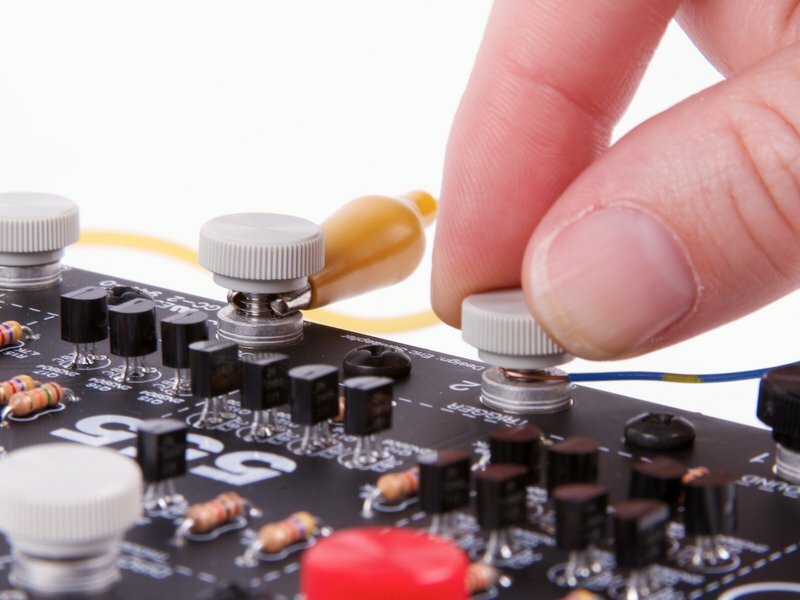 It includes the circuit board, resistors, and transistors that make up the electrical circuit as well as printed assembly instructions. The kit also comes complete with the "IC Leg" stand, and 8 color coded thumbscrew terminal posts. 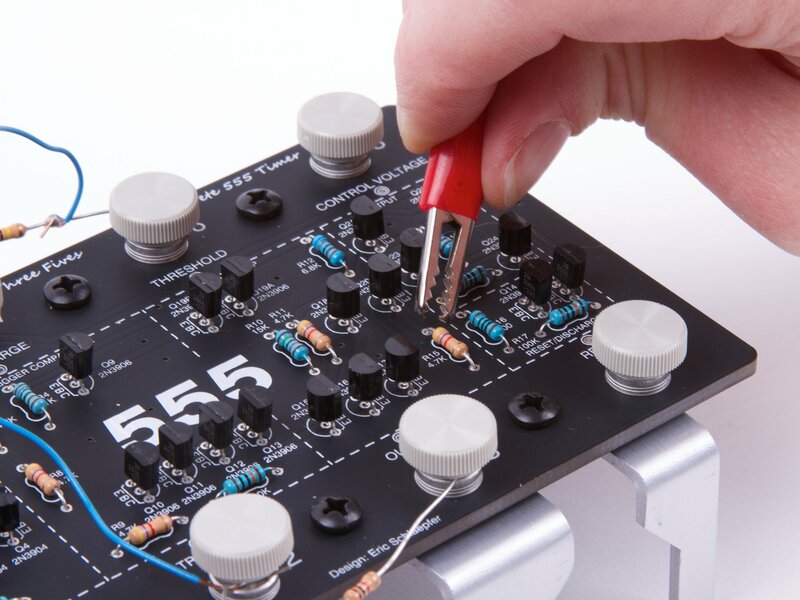 The kit features easy "through-hole" construction ("No surface-mount nothin' nowhere! 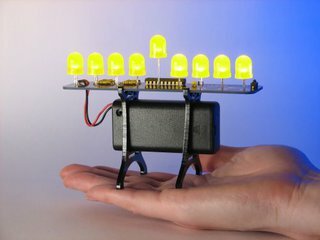 "), and (assuming that you have prior soldering experience) should take roughly an hour to build. 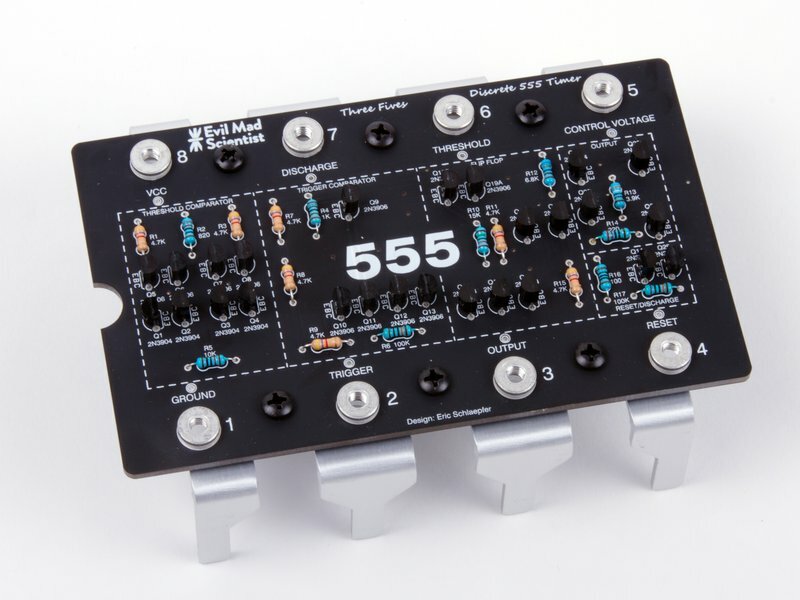 The Three Fives circuit is a direct implementation of the "equivalent circuit" from the NE555 datasheet, built up using resistors and individual 2N3904 and 2N3906 transistors. 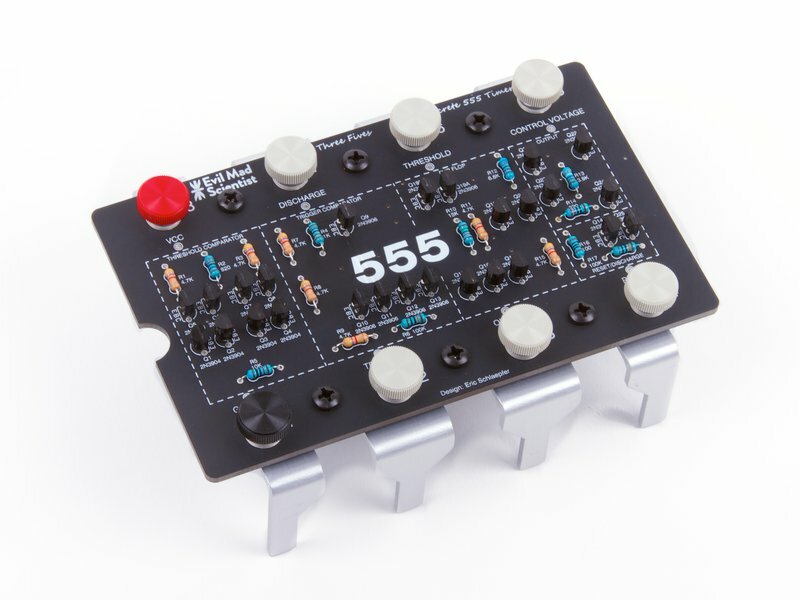 It comes with terminal posts and solder points so that you can actually connect to it and build up classic 555 timer and oscillator circuits. 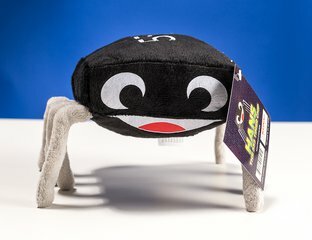 Using those terminal posts and solder points, you can hook up with with bare wires, lugs, alligator clips, and/or solder joints-- however you see fit. And unlike the chip version, you can even hook up probes to monitor what goes on inside the circuit. 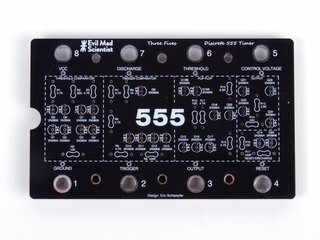 While the Three Fives kit will work without modification in the majority of example circuits, some performance characteristics are different than those of 555 integrated circuits; please refer to the Absolute Maximum Ratings and Electrical Characteristics? in the datasheet for additional details. 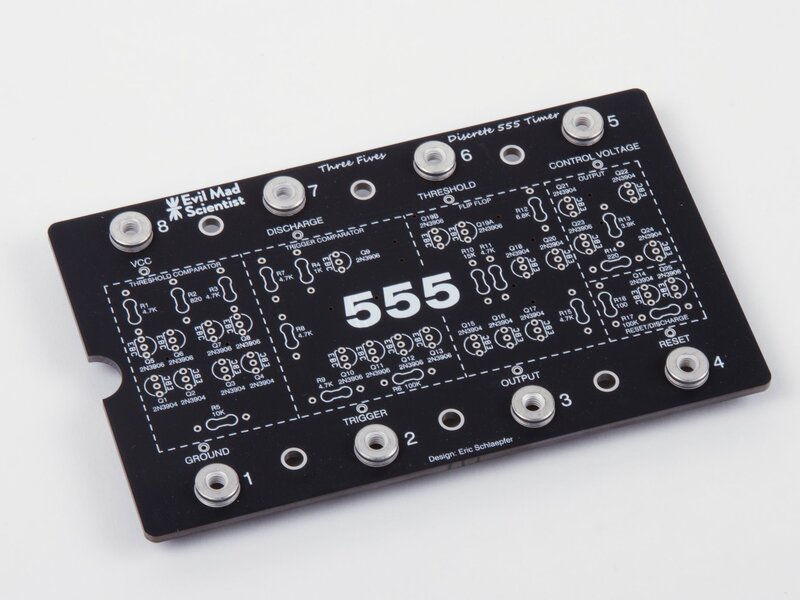 The Three Fives kit printed circuit board is 5.215 X 3.175 inches (13.25 X 8.06 cm) in area, and (nominally) 0.100" (2.54 mm) thick. 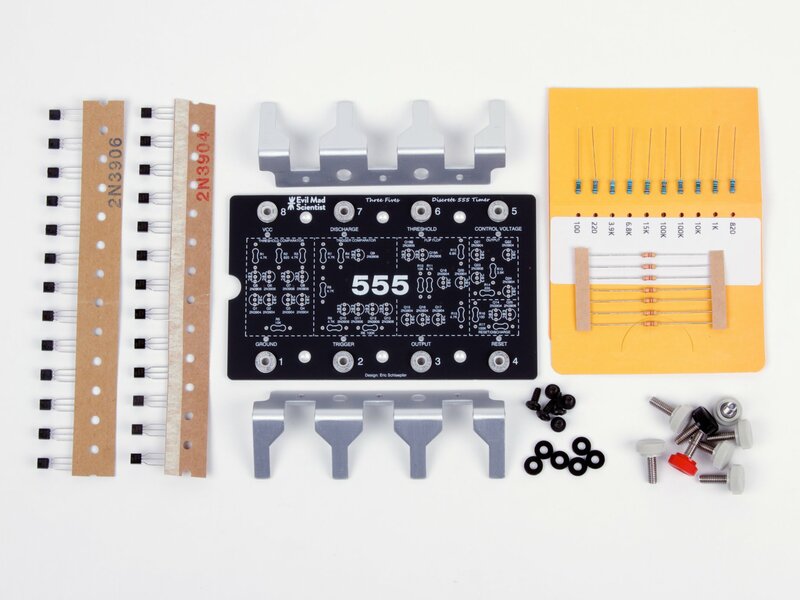 Including the "Integrated Circuit Legs" stand and terminal posts, the overall size of the assembled kit is nominally 5.215 X 3.9 X 1.70 inches (13.25 X 9.9 X 4.3 cm). The decorative stand is smooth to the touch and made of anodized aluminum. 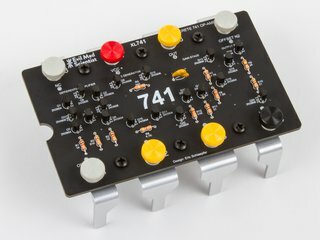 The circuit board in the kit is extra thick for rigidity, and made with a matte-black solder mask finish. It comes pre-fitted with eight 8-32 threaded inserts for the terminal posts. 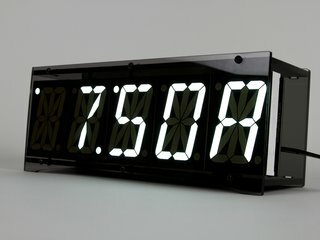 All materials (including the circuit board and stand) are RoHS complaint (lead free). The included terminal post screws are stainless steel thumbscrews with color-coded plastic caps (1 red, 1 black, 6 gray). Additional specifications are given in the kit's datasheet (2.7 MB PDF file). Kit assembly instructions (1.4 MB PDF file). 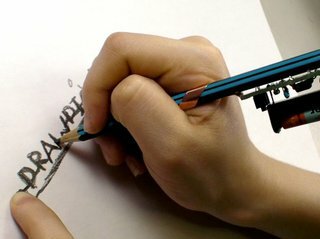 Printed instructions are included with the kit. 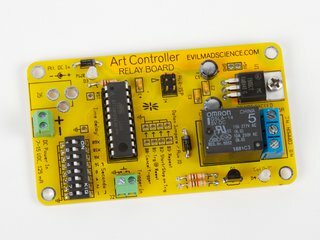 The central documentation page for the kit is found here on our documentation wiki.